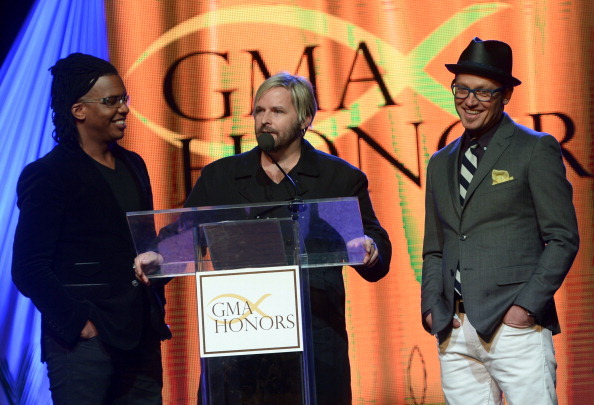 It’s been a decade and a half since Kevin Max worked with dc Talk. Following the “intermission”, Kevin released a handful of solo records. 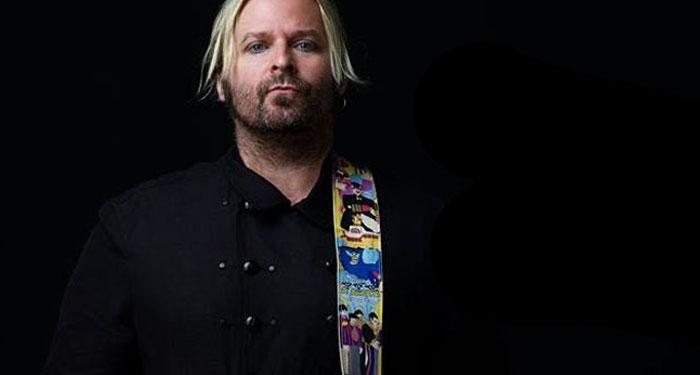 In 2012, Kevin Max was apart of the Audio Adrenaline reboot that released “Kings & Queens”. After several successful singles, Audio A and Kevin Max announced they had mutually parted ways. Kevin’s first record since his reemergence as a solo artist, “Broken Temples”, comes out soon (pre-order is available December 9th). Kevin and I recently talked about his career, the new record, the state of CCM music today, and (of course) dc Talk. Gabe: How refreshing has the last 2 or 3 years of your career been? Kevin: Refreshing is an interesting word. I think in some ways it has been refreshing and in others it has been challenging and I would say even stressful. But in an all encompassing way, that is just the way of things in the music business and industry. The refreshing parts were creating and singing for people that really were excited to see Audio Adrenaline back on the scene. Also refreshing was the support and the memories made with Hands & Feet non profit and Food For the Hungry. The rest was a bit like business as usual. For a long time, I had not been used to Management and Label’s having a say in what I did creatively and otherwise, so it was a learning curve again. I am a bit of a free spirit type artist, so it was also challenging to work with outsider ideas and vision for what a band should be. Musically, it wasn’t something that I would have created by myself necessarily, but I think the final product was great and touched a lot of people. I have to say, Wes Campbell, the manager of the Newsboys, and Michael Tait, my old singing partner, had a lot to do with my coming back to the Christian Music industry. Without their desire to see me there and God’s leading in my life, I don’t know if I would have returned so soon. God really spoke to me in the years leading up to me singing on the Newsboys’ ‘God’s Not Dead’ and Audio Adrenaline, and chipped away at some of the confusion I had about my place within Christian music. Now I feel that I have a place and a mission within this industry. All in all, the last 3 years have been an honorable and wonderful journey and memory. The song ‘Kings and Queens’ will stand out to me as a song that I would have never been able to write, but as a moment that touched so many lives. As an adoptive kid, the moments I have spent with orphans in Haiti and the Dominican Republic, to seeing kids singing that song in Romania and abroad, has really given my spirit wings. Life goes by very quickly, so…. it doesn’t matter how many Dove or Grammy Awards you win, it’s about how many people you reach and can help with a kind word, action or song. Gabe: What is different about Kevin Max as a person and as an artist now compared to the Kevin Max in the dc Talk days and again when you were first a solo artist (Stereotype Be era)? Kevin: I am quite a bit different from my younger self. So, you are asking what the difference is from my 20’s-30’s, to what I am like now in my late 40’s? First of all, the biggest change in me is children and being a father. That changed my reference to everything in a drastic way. It has mellowed me, tempered me and continues to amaze me…. I love my kids and being a dad. I am taught so many things every day about patience, love, discipline, moderation, refinement, etc. Back in the early dc Talk days as a single man, I had no clue about relationships. I was all about myself and what it would take to become a great performer and artist. Now, I care more about what people think of me, what my kids think of me, what my wife thinks of me. Having an amazing wife and support partner through life is one of the most needed things. I can’t imagine doing it without her. Artistically, I am more developed and refined. I see things from a broader scope. Before dc Talk, I hadn’t had much life experience… now I have had more life experience than most people my age. Its a bit like something Earnest Hemingway used to say about a writer not being able write effectively without living first. Gabe: What were some things that inspired you lyrically for the Broken Temples record? Kevin: I am inspired by words all of the time. ‘Broken Temples’ is no different in that aspect then from my first album ‘Stereotype Be.’ I traditionally start with a thought or a title, then bring that into a more fleshed out lyrical composition before adding music. A lot of music artists start with the music and melody first. I think lyrics at a certain point are more important than the music. Music can be altered and changed depending on the emotion and situation when performing in live settings; lyrics, however, cannot be altered. I was inspired on this project by many things. The theme of “Broken Temples” took on a personal bent to me. When writing these lyrics, I wanted to express the changes I went through as someone wrestling with their faith and someone that has lived a bit of life. I have been broken by temptation, success, failure, ego and desire. But I have also been redeemed and given many chances, by the grace of God. None of us are perfect, all of us are fractured human beings. Without being fractured and open, the light cannot penetrate as easily. I believe God meets us in the valley and in the silence. One song in particular, “Clear”, is all about what it is like to live in the tension. My pastor, Jamie George at Journey Franklin, wrote a book called ‘Love Well’ which references that quite a bit. In order for God to change you, you have to be open to the change. And most of the time it is through heartache, failure, and absolute surrender that we can be ready for Him to work on us. That is the essence of what I was trying to say with this album. Gabe: You get asked about dc Talk in almost every interview you ever do. Why do you think the band’s music remains relevant today? Kevin: I think dc Talk will constantly remain relevant because we projected honesty and dedication onto everything we did. Obviously, some of the early stuff is laughable… but from ‘Free At Last’ on to ‘Supernatural” there was some great musical moments. Also, our desire to ‘raise the bar’ within the Christian Industry from a ‘Live show’ standpoint was one of the reasons we were one of the biggest selling acts of the 90’s. That and the fact that we believed in what we sang about…. sincerity about our faith was probably our strongest point. Gabe: Do you think artists like Rich Mullins or Larry Norman would make it in the CCM world today? Kevin: I don’t know…. Personally, I don’t think they would be anywhere near as popular as they were decades ago. The musical landscape within the industry was so different back then. It was more of a time period for lyrical exploration and live performance. Rich Mullins wrote songs about the church that challenged the church, as did Larry. They also wrote songs for the non-believer to understand the truth’s of the scripture in a relatable and relevant way. Anybody looking in from the outside is not going to understand all of the hand waving and ‘Christian-ese’ language. They will only be able to recognize and relate to the struggles of imperfection and the honesty of mistakes made within the life of a Christian. Forgiveness and redemption… they are important concepts. Christ came to this earth to save everyone from sin and death. But during that time he not only reached out to those in need, he lived among them….. there was no ‘living in a bubble’ for Him. It was, historically and in all actuality, quite the opposite. Gabe: Is there anything else you’d like to say about the new record? Kevin: I am excited about moving into this next phase of my career as an independent artist, once again. I am releasing “Broken Temples” without a label, but we are actively involving everyone in it. I am going to be partnering with ‘Pledge Music’ this month to help create some unique offerings and experiences for “Broken Temples” beyond just the physical CD; a chance to create art that is made to coincide with the album. The full album will be out in February and I expect to tour around that time as well. Be sure to pre-order Broken Temples on December 9th! Follow Kevin on Twitter @KevinMax. This entry was posted in art, Christianity, Music and tagged adoption, audio adrenaline, dc talk, kevin max, larry norman, newsboys, rich mullins, worship. Bookmark the permalink. It is possible to care to much, I know first hand and its gotten me in a world of trouble. I am behind on my school, friends won’t talk to me anymore, and I got some hellish nightmares every night, every night, for caring too much. I know Two things will stay true and that is God’s Not Dead, and that friendship is Priceless. Hold on to Friendship and God. I’m not much of a reader, but this is a good read. Kevin Max has been my favorite singer since the beginning of his singing career. Plus, I believe he has a great testimony to share with his life.